Taking out a shipping insurance - is it worth? Who can provide a goods in transit insurance? Where to buy it? The most imported thing you should know is that we are not an insurance company. Each mover is just an insurance agent of an insurance firm. Also no mover will provide an insurance options if you pack the items to be insured. It is not our condition and we can't change it. Accidents are unfortunate, unprepared and sudden mishap. It can occur at anytime even when you least expect them. If you are moving house or office, it is important that you cover your property with goods in transit insurance. Most international movers spend time making preparation in order to have a successful and smooth move. But they forget to secure their properties against damages, loss and accidents. Especially fragile items and antiques are vulnerable. There is the assumption that the removal companies should ensure that all goods and properties are delivered in good condition or that they are responsible for any damages or losses that may occur during moving to Australia. Unfortunately, most service providers do not guarantee maximum protection of properties. If you take time to read their terms and conditions, you will discover that they stated that they are not responsible for damages and losses that occur as result of accidents and other circumstance beyond their control. This is why it is important that you secure your property with a proper shipping insurance. In order to ensure that damages and losses are paid for, reliable and experience companies offer moving insurance to clients that want to have their properties in good condition but only when the goods are professionally packed. As implicit from the name, the international goods in transit insurance is a type of policy to protect your valuables against various kinds of damages such as loss of properties, damages on properties as a result of accidents and other types of losses. Furniture shipping insurance gives a lot of benefits to both - the shipping company and to their clients. If you are moving to any location, you should buy additional cover for your properties for the following reasons. As it has been said above, most insurance companies do not pay for damages resulting from accidents or elements of weather. But you cannot tell when accident will occur. It can occur even when you least expect them or when you think that the weather is very suitable for travelling. This is why it is referred to as unforeseen mishap. If you are moving and buy additional cover for your property protection, you will have rest of mind that nothing will happen to your property and should anything happens to your property, you will be fully paid for your property. The mover will calculate the worth of the damages and send to the insurance company for payment. Properties that can be repaired are repaired and the costs of the repairs are taken care of by the insurance firm. Those that are damaged beyond repair are replaced by the insurance company. Depending on your policy, you may also be paid money for the damage property and you will replace it by yourself. 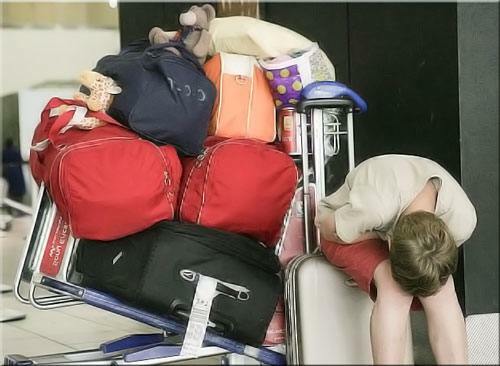 You can also insure your baggage against damage and loss. If you are moving office or warehouse, you need to buy moving insurance to secure your stock in order to ensure business continuity. As it has been explained above, anything can happen to your goods. It can spoil as a result of storage problems. Change in weather or even delay along the line can affect the storage of your goods. If you are shipping goods that are sensitive to temperature for example and you don’t secure them, there is the probability of your goods being affected by change in temperature. Should this happens, it means that you have lost your entire stock and this have negative implication for your business. Your business can collapse as a result of this. In order to avoid the collapse of your business in event of unfortunate incidence or occurrence, it is important that you buy moving insurance. The moving company may not be held liable for such a lost. Only a few of them pay for such damages and they pay little. So, you have to secure your property with full moving insurance to ensure that your stocks are replaced should any mishap occurred during shipping to Australia. 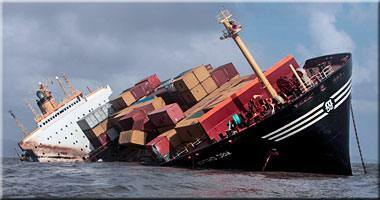 From the above, you can see that the importance of the shipping insurance cannot be over emphasised. Make sure that you provide additional cover for your properties in order to have rest of mind when you are relocating. Look for a reliable goods in transit insurance company with affordable rates. As experience business, we can help you in this regard. We collaborate with popular insurance companies that offer moving insurance to Australia. Buying the goods in transit insurance directly from us will reduce the task involved in moving for you. However the insurance can be bough online too. The cost of moving insurance depends on two main factors - the insurance company and the value of your goods. Even if your budget is tight and you are not planning to take out insurance it is worth to know what options are available and what the moving insurance rates are. Basically there are always at least two possibilities. Most companies provide a standard moving insurance cover of about £100 for every parcel, baggage or any separately packed piece of furniture, music equipment or other item. This mandatory sea shipping or air freight insurance cost only between £3 and £4. Please always ask if this insurance has been included in your quote. Unfortunately in most cases you will not have any option to cancel this cover and you will have to pay it. You also need to double check what it actually covers. In most cases it covers the total loss only. So for example if part of your box, baggage or other separately packed item remains intact you would not get any money back for the part that has been damaged. The extended insurance will usually cost about 5% of the replacement value. What’s the replacement value? If in the case of a loss or a damage you would like to receive for example £1000 from you insurance company you will have to pay the insurance premium equal to 5% of £1000 which would be £50. If you would like to insure your goods for the total loss you will have to make the inventory of every single item you are moving. Next to each item you need put the replacement value which is the amount you will have to spend to repurchase the item. Once you have worked out the total replacement value you will have to pay 5% of it to insure your furniture for total loss – full replacement value. As you probably know all insurance policies have a lot of terms and conditions. To be sure you get the insurance cover you want, please make sure you have double checked with the insurer that your goods are covered against all possible damages that may occur in every possible situations.